You are at:Home»Society»Crime»March 15, 2019: Mass Shootings at Mosques in New Zealand Broadcast by Bodycam! March 15, 2019: Mass Shootings at Mosques in New Zealand Broadcast by Bodycam! On March 15, 2019, the early afternoon in Christchurch, New Zealand was shattered by scores of bullets being fired by an anti-immigrant domestic terrorist with an arsenal of guns. The suspect in the first shooting used a body or helmet camera to live stream his murderous rampage, an explicit video that made its way onto YouTube, although administrators soon removed the video from the public viewing. The first attack took place on Friday, March 15, 2019 at around 1 pm at the Al Noor Mosque. The 17 minute long chilling video clearly showed the arsenal amassed by the perpetrator, several long guns and gasoline cans in both the trunk of his car and on the passenger side front seat floor. The guns were covered in political writings in white paint, though this author was unable to read exactly what was stated on those firearms. The video showed the gunman enter a Mosque with about 200 worshippers in attendance, with the shooting starting immediately upon entry. The shooter coldly goes from room to room firing rounds and reloading about as fast as possible with a semi-automatic (not sure if the weapon was full automatic, but it seemed to be a rapidly fired semi-automatic) military pattern type of magazine fed rifle. People were gunned down where they stood or shot in the back as they ran, and the gunman coldly fired many rounds into those victims that had already fallen. At one point a victim tried to rush the gunman but was cut down by bullets before being able to attack the murderer. 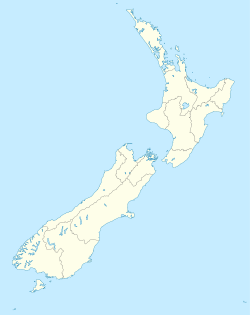 Christchurch is located in New Zealand. Map by NordNordWest. The gunman then makes his way back to his car, firing shots outside as well. The video ended there, but not the carnage. 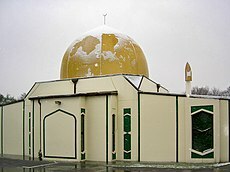 Gunfire erupted at a second Christchurch mosque shortly after the first shootings, and more people were killed and wounded at this second location. A total of at least 49 people are believed to have been killed and dozens more wounded. One man was arrested and charged with murder, while 2 other armed men have also been arrested as suspects in the case. Explosives were also found in the suspect’s car. The main suspect is a 28 year old White man, believed to have posted a White Nationalist “manifesto” on social media. It is unknown at this time if the same man shot up both mosques. The ramblings posted by the self-described shooter included an explanation that he wished to inflame the American debate over gun control and that “For once, the person that will be called a fascist, is an actual fascist.” The suspect appears to be a domestic terrorist born in Australia with White Supremacist tendencies. Anti-immigrant protesters in Calais hold a banner in French reading “Diversity is a code word for white genocide”, November 8, 2015. Photograph by Jérémy-Günther-Heinz Jähnick (1988–). If you are wondering what sort of gun laws they have in New Zealand, the permission to own or use firearms is controlled by the police deciding exactly who is worthy of having guns. Only after getting police permission and a license can a citizen buy and own a firearm, although the types of firearms include most of the popular varieties. Permission to own different classes of firearm are individually decided by the police based on the perceived character of the prospective firearms owner. Permission to possess firearms may be rescinded at any time the police think a person shows any signs of unworthiness to own guns or presents a possible threat to society. Somehow the authorities missed the inflammatory and hateful internet posts made by the suspect. A fact that is likely to befuddle most Americans, is that New Zealand does not recognize self-defense as a legitimate reason to own a firearm, and a firearm license will not be issued with self-defense for a reason for wanting a license. Not even for bodyguards! Somehow the hateful posts presumably made by the perpetrator escaped the notice of New Zealand authorities, and perhaps no concerned citizen reported the potential danger to the police. Or maybe the posts were reported and not acted on, we do not know at this time. What we do know is that this suspect was not exactly sly about hiding his intentions, and probably should have been reported to authorities and stopped before carrying out his murderous rampage. A curious aspect of the social media manifesto (16,000 words worth covering 74 pages) is the suspect referring to President Trump of the US as a symbol of White Supremacy, but not a leader. (“a symbol of renewed white identity and common purpose, ” but going on to explain, “As a symbol of renewed white identity and common purpose? Sure. As a policy maker and leader? Dear god no.”) The suspect also claimed to be inspired by American White Supremacist/murderer Dylann Roof who shot up a Charleston, South Carolina church in 2015, killing 9 African Americans. Al Noor Mosque, June 2006. Photograph by Abdullah@xtra.co.nz at English Wikipedia. Questions for Students (and others): Is this Christchurch massacre backlash against years of Islamic extremist terrorism? Are anti-Muslim and anti-immigrant violent acts increasing worldwide? What can be done to stop these heinous acts? Kleck, Gary. Armed. Prometheus Books, 2001. Nisbet, Lee. The Gun Control Debate: You Decide. Prometheus Books, 2001. The featured image in this article, a photograph by Abdullah@xtra.co.nz at English Wikipedia of Canterbury Mosque, Christchurch, New Zealand, 12 June 2006, transferred from en.wikipedia to Commons by Liftarn using CommonsHelper, has been released into the public domain by its author, Abdullah@xtra.co.nz at English Wikipedia. This applies worldwide. Next Article March 16, 1621: Big Surprise for Pilgrims at Plymouth Colony!